In 2001 Cathy Maloney was hired to work with City Centre Staff and The Elmhurst Economic Development Corporation to attract new retail shops to fill growing vacancies. Cathy Maloney's retail recruitment efforts worked to reduce the Downtown Elmhurst 2001 double digit vacancy rate to low single digits. With the formation of Findzall Community Marketing, the City of Elmhurst retained the services of Findzall to work as economic development consultants to implement innovative marketing strategies to increase new business leads and expose Elmhurst to brokers, developers and prospective business owners. Key strategies included website enhancements, the annual commercial real estate event and Google map of available properties. Acted as the point person to manage and assist Elmhurst new business leads with a focus on retail and restaurant. Designed display and attended ICSC events representing the City of Elmhurst. Business Attraction efforts resulted in the following new Elmhurst businesses: Lucky Strike (now Fitz’s Spare Keys), The English Garden, My Favorite Toy Store, Babies n Beds, Ashley's Custom Stationary, The Creative Door, Serene Teaz, Happy Dog Barkery, Park Place Interiors as well as site selection assistance for many others. Worked with existing shop owners who wished to move to a larger or smaller location to keep their business in the City of Elmhurst. Followed up with brokers and building owners to encourage retail, attain discarded leads (to contact and guide to another site in town) and keep the focus on Elmhurst. Conducted community visits, periodical and internet research to gather competitive information and contact potential businesses that may want to add an Elmhurst location. Updated and designed the "Open a Business" economic development section of the City website including the Google map of available properties. Sourced, supervised and wrote copy for the City of Elmhurst "See You Downtown" community video. 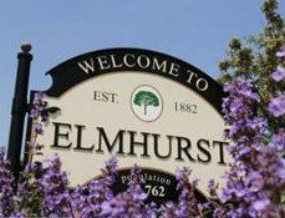 Created the "Explore Elmhurst" branded social media campaign (Facebook/Twitter). Findzall Community Marketing was contacted by Donna Framke, Marketing Director for the Village of Tinley Park in February of 2011 to provide a strategy to brand the downtown business district now known as Downtown Tinley, promote local businesses and attract new businesses. Findzall delivered a comprehensive community marketing strategy focusing on Community Marketing, Business Retention and Business Attraction. Designed and created the DowntownTinley.com website with merchant directory/Google map, email marketing campaign, Facebook widget, a complete list of events and merchant education section. The website also includes an “Open a Business” economic development section with demographics, contact information and map of available properties. Created, managed, gathered content and produced the "Experience Downtown Tinley" consumer focused email marketing campaign designed to promote local shopping, dining, events and attractions. 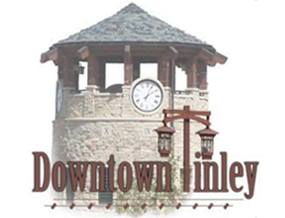 Created, launched and managed Downtown Tinley on Facebook and Twitter. Provided monthly educational seminars to teach local business owners how to get found online, market their business online, manage customer reviews and keep up with advances in technology as well as created and managed merchant email newsletter "The Downtown Tinley Insider". Findzall Community Marketing was contacted by Economic Development Coordinator Meredith Hannah in early 2014 to assist with marketing strategies for the Village of Glen Ellyn. Findzall provided marketing research, recommendations and created a community marketing work plan that outlined ways to connect Village organizations that maximize marketing and communication with residents and visitors. The report also included a best practices analysis of each group's website and highlighted recommendations to improve and enhance each one. Merchant education strategies were outlined to enhance communication and offer ways to assure businesses get found online. The Village of Glen Ellyn Branding and Image. Community websites, email campaigns and social media marketing. Print marketing, video and YouTube. Connecting with local businesses via email, social media, meetings and more. The City of Wheaton requested the services of Cathy Maloney to assist Downtown Wheaton in attracting retail shops and restaurants. Following a Commercial Inventory Analysis and discussions with City officials as well as a review of existing marketing materials, it was determined that the focus was needed on Marketing and Retention along with Business Attraction. Cathy Maloney served on the Downtown Wheaton Association's Economic Restructuring Committee where city staff and local business leaders discuss strategies for downtown planning. She also served on the Marketing Committee which promotes the downtown business district through image advertising, media campaigns and special events. Ms. Maloney assisted in the creation of a retail business grant and made recommendations to implement an email marketing strategy and enhancements to the website such as the addition of a merchant education section. 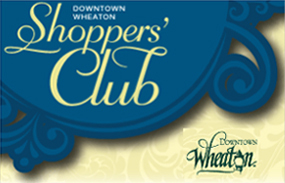 Acted as the point person for Downtown Wheaton retail new business leads. Worked with existing shop owners who wish to move to a larger or smaller location to keep their business in the City of Wheaton. Recommended email marketing campaign and website enhancements designed to cost effectively distribute merchant promotional content and communicate with merchants in an appealing and consistent format. Created and maintained an available property list that tracked communication with brokers/building owners, active leads and new store openings. Followed up with brokers and building owners to encourage retail, attain discarded leads (to contact and guide to another site in town) and keep the focus on Wheaton. Conducted community visits and internet research to gather competitive information and contact potential businesses that may want to add a Wheaton location. Created a Monthly Summary Report to highlight focus activities and recommendations. Findzall Community Marketing founder Cathy Maloney has worked as a consultant on various projects with the Goodman Williams Group. In 2013 a project was completed for the Six Corners/Portage Park neighborhood where Cathy provided the marketing strategies for a Comprehensive Economic Development Study. The Goodman Williams group called on Cathy for the Berwyn Development Corporation Commercial Market Assessment that included a complete retail corridor analysis. This project took place in 2008. As a retail marketing expert on the consulting team Cathy contributed to the inventory and property characteristics database, participated in the stakeholder interviews and studied each corridor of the City of Berwyn. For the final Market Assessment report, Cathy provided a complete summary of recommendations for marketing to patrons of the Berwyn community and surrounding area including a complete analysis of current promotions and events. She also provided Retention strategies to strengthen existing business and Recruitment methods to attract new shops and restaurants to each business corridor. Cathy also participated in a planning project that developed strategies for the improvement of the 159th Street Corridor Study located between I-355 and I-294. Six municipalities (Homer Glen, Orland Park and Hills, Tinley Park, Oak Forest and Markham) cooperated in this planning effort, funded primarily with a grant from the Illinois Department of Transportation. A range of issues were addressed relevant to the corridor, including coordination of redevelopment priorities and marketing efforts, improvements to circulation and access, corridor-wide urban design solutions, and identification of new branding and wayfinding strategies. Cathy provided strategies for marketing the 159th Street Corridor and provided a PowerPoint presentation of her findings along with the Goodman Williams Group to the key stakeholders of the project. HNTB, a planning consulting firm, led the project. This project took place in 2009 and is on the Orland Park website. In 2006 Cathy Maloney was asked to assist Downtown Oak Park and the Oak Park Development Corporation in creating and implementing a business recruitment strategy for the Village of Oak Park. To assess what shops and restaurants were needed Cathy Maloney conducted a commercial inventory analysis and interviews with Village officials to determine what was missing from the current business mix. An ongoing challenge in Oak Park was creating a business friendly environment to make it easy for prospects to find information, available property listings and financial assistance. Acted as the point person for all Downtown Oak Park retail leads. Worked with existing shop owners who wished to move to a larger or smaller location to keep their business in Oak Park. Created and maintained an available property list. Followed up with brokers and building owners to encourage retail, attain discarded leads (to contact and guide to another site in town) and keep the focus on Oak Park. Conducted community visits, periodical and internet research to gather competitive information and contacted potential businesses that may want to add an Oak Park location. Maintained a Monthly Phone/Activity Log to keep track of all incoming and outgoing calls and meetings to track all actions chronologically. Created a Monthly Summary Report to highlight focus activities and to list and track all retail leads. Cathy Maloney also worked with Downtown Oak Park to enhance their internet utilization/marketing strategy to attract shoppers and retail prospects including recommendations to create a Shopper Enewsletter, an Available Property Listing and Member's Corner to promote education and retention. Shops that have opened or relocated with Cathy Maloney's assistance include Botanica, Olive & Well, and Chameleon Clothing on Oak Park Avenue, Glazed Expressions on South Oak Park Avenue and The UPS Store, Homemade Pizza Company and Bruegger's Bagels in Downtown Oak Park. President at Morningside Equities Group, Inc.